Public Member Tree, online search.ancestry.com, See Gardener Family Tree. James Cook Household, Bilston, Staffordshire, 1851 Census Returns of England and Wales. Jas Cook household, 1860 U.S. Census, Sanpete County, Utah Territory, population schedule, Manti, dwelling 640, family 32, 32. Ann Barton household, 1900 U.S. Census, Sanpete County, Ann Barton, population schedule, Manti, ED 0125, sheet 1B, dwelling 13, family 13, age 56, occupation none. Preston Ishmael household, 1850 U.S. Census, Grant County, Wisconsin, population schedule, District 24, dwelling 82, family 1236, 1236. Eldridge Ishmael household, 1900 U.S. Census, Grant County, Wisconsin, population schedule, Cassville, ED 26, sheet 1A, dwelling 1, family 1, age 55, occupation Hotel Keeper. Find A Grave - Memorial Page, online www.findagrave.com, Eldridge Ishmael - Find A Grave Memorial# 71680140. Mary Ishmael household, 1860 U.S. Census, Grant County, Wisconsin, population schedule, Beetown, sheet 4, dwelling 1289, family 1260, age 52, occupation None. Eldrige Ishmael household, 1870 U.S. Census, Grant County, Wisconsin, population schedule, Beetown, sheet 17A, dwelling 37, family 37, age 26, occupation Saloon Keeper. Eldridge Ishmael household, 1880 U.S. Census, Grant County, Wisconsin, population schedule, Beetown, ED 98, sheet 18D, dwelling 267, family 268, age 35, occupation Keeping Saloon. Herman Grimm household, 1905 State Census, Cassville Village,Grant County,Wisconsin, population schedule, Page No: 113 , Line No: 18, , FamilySearch FHL No: 1020449 age 60. Eldridge Ishmael household, 1910 U.S. Census, Grant County, Eldridge Ishmael, population schedule, Cassville, ED 0017, sheet 3A, dwelling 63, family 63, age 65, occupation Hotel Keeper. Eldridge Ishmael household, 1920 U.S. Census, Grant County, Eldridge Ishmael, population schedule, Cassvile, ED 95, sheet 8B, dwelling 208, family 212, age 75, occupation none. Eldridge Ishmael household, 1930 U.S. Census, Grant County, Eldridge Ishmael, population schedule, Cassville, ED 9, sheet 8A, dwelling 227, family 235, age 74, occupation not listed. Eldridge Reynolds was born on 2 December 1844 at Grant County, Wisconsin.2,3 He was the son of James Reynolds and Martha Ramsey.2 Eldridge Reynolds was listed in the census of his parents, James Reynolds and Martha Ramsey, on 27 August 1850 at E. District 25 of, Grant County.1 He was also listed in the census of parents on 9 June 1860 at Castoria, San Joaquin County.4 Eldridge Reynolds married Anne M Campbell, daughter of William Campbell and Susan Maloy, on 9 September 1869 at San Joaquin County, California.5 Eldridge Reynolds and Anne M Campbell appeared on the census of 8 June 1880 in Castoria, San Joaquin County, California; This census included an adopted son Francis M. Hall.6 Eldridge and Ann appeared on the census of 13 June 1900 also in Castoria, San Jauquin County.7 They also appeared on the census of 16 April 1910 in Ward 3, Stockton.8 Eldridge Reynolds died on 5 January 1926 at San Joaquin County, California, at age 81.9 "Eldridge L. Reynolds.---- Among the old settlers of San Joaquin County Eldridge L. Reynolds ranks well to the fore, for he arrived with his parents in 1854, and almost continuously since that time has employed his engeries in farming and stock raising near Manteca. He has been successful, and as a citizen he ranks very high in the county. He was born in Grant County, Wis., December 2, 1844, the youngest son of James and Martha (Ramsey) Reynolds, natives of Kentucky, who crossed the plains to California in 1853 and in the fall of 1854 settled in San Joaquin County. The father, James Reynolds, paid $1.25 per acre of his ranch. He located on what is known as Sand Plains near the present location of the East Union Church and cemetery two miles north west of Manteca. This first house built by James Reynolds wa made of Shakes, cut by hand, near Placerville, and were hauled by team to the ranch. Four sons are new living: David R., whos sketch will be found in this history; Eldridge L., our subject, and Edward are twins; and James A. resides at Capitola. Both parents are deceased, the mother reaching the advanced age of ninety-five years. Eldridge L. Reynolds received his education in the district school near his home and his teachers were ex-senator Samuel Meyer and Judge Woodard. At the time of his father's death he received 240 acres as his share of the estate and for forty-two years he farmed and improved the property, his principle crops being grain, which yielded from thirty-five to forty bushels to the acre in early days. 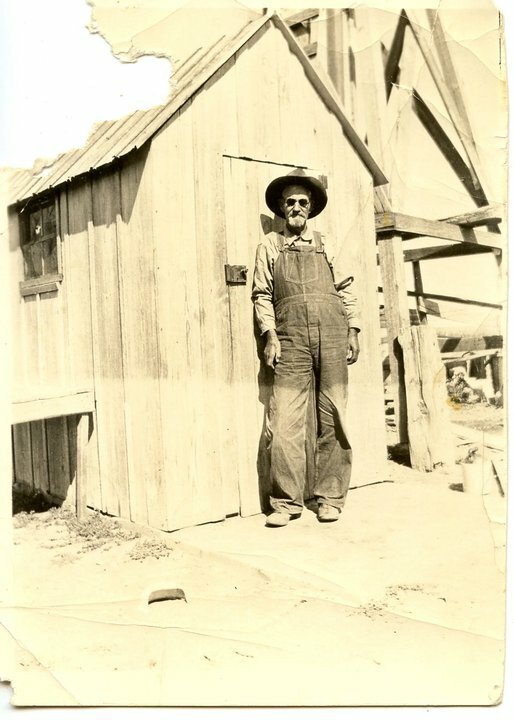 On his ranch he erected a $2,500 residence and $1,100 barn; he also planted orange trees and a vineyard of table grapes. He became well known for his high grade Holstein cattle and for his fine draft horses of the Clydesdale breed, and mules. Mr. Reynolds and his twin brother ran a threshing outfit in the valley for a number of years and became well acquainted in the county, and they also farmed together 1,000 acres of grain land on the west side, which produced in one year 10,500 sacks of wheat. James Reynolds household, 1850 U.S. Census, Grant County, Wisconsin, population schedule, E. District 25, dwelling 115, family 427, 427. Page 227 -Dw 423, Fm 427. household, 1850 U.S. Census, Grant County, Wisconsin, population schedule. George H. Tinkham, San Joaquin County History. James Reynolds household, 1860 U.S. Census, San Jauquin County, California, population schedule, Castoria, sheet 889, dwelling 181, family 185, occupation farmer. George H. Tinkham, San Joaquin County History, Biography, Page 451. Eldridge Reynolds household, 1880 U.S. Census, San Joaquin, California, population schedule, Castoria, ED 236C, sheet 12, dwelling 13, family occupation farmer. Eldridge Reynolds household, 1900 U.S. Census, San Joaquin County, California, population schedule, Castoria, ED 99, sheet 5A, dwelling 86, family 86, age 44, occupation Farmer. Eldredge Reynolds household, 1910, San Joaquin County, California, population schedule, Stockton, ED 141, sheet 3B, dwelling 74, family 75, age 65, occupation Own Income. The San Joaquin Genealogical Society, Old Cemeteries of San Joaquin County California, Volume I, Page 19. East Union Cemetery - Reynolds Monument, inscription: " E. L. Reynolds, 2 Dec. 1844 - Jan. 5 1926." George H. Tinkham, San Joaquin County History, Page 441. Edward Reynolds household, 1880 U.S. Census, San Joaquin, California, population schedule, Castoria, ED 236C, sheet 9, dwelling 10, family occupation farmer. Edward Reynolds household, 1900 U.S. Census, San Joaquin County, California, population schedule, Castoria, ED 99, sheet 4B, dwelling 94, family 94, age 55, occupation Farmer. Edward Reynolds household, 1910, San Joaquin County, California, population schedule, Castoria, ED 0114, sheet 7B, dwelling 154, family 154, age 65, occupation none. Edward Reynolds household, 1920 U. S. Census, San Joaquin County, Edward Reynolds, population schedule, Castroia, ED 140, sheet 6B, dwelling 141, family 151, age 75, occupation none. California, County Birth and Death Records, 1800-1994, database with images, online www.familysearch.org, California, County Birth and Death Records, 1800-1994, database with images online at familysearch.org; California State Archives, Sacramento. Reference; Reference ID: 116; GS Film Number: 1832272; Digital Folder Number: 004282440; Image Number: 701. Edwin Reynolds household, 1920 U. S. Census, San Joaquin County, Edwin Reynolds, population schedule, Castoria, ED 95, sheet 101, dwelling age 47, occupation Farmer - Alpha Farm. California, Great Registers, 1866-1910, index, online familysearch.org. George H. Tinkham, San Joaquin County History, page: 931. George H. Tinkham, San Joaquin County History, Biography, Page 1503. Thomas C Armstrong household, 1860 U.S. Census, Culpeper County, Virginia, population schedule, Not Stated, sheet 329B, dwelling 258, family 232, age 51, occupation Farmer. Find a Grave is a commercial website providing free access and input to an online database of cemetery records. It was founded in 1995 by Salt Lake City resident, Jim Tipton, online www.findagrave.com, From A.J. Armstrong's head stone. Thomas C. Armstrong household, 1850 U.S. Census, Culpeper County, Virginia, population schedule, Culpeper County, dwelling 274, family 909, 909. Sarah A. Armstrong household, 1870 U.S. Census, Culpeper County, Virginia, population schedule, Jeffersonton, sheet 597a, dwelling 152, family 158, occupation housekeeper - Judson a farmer. A.J. Armstrong household, 1880 U.S. Census, Culpeper County, Virginia, population schedule, Culpeper, ED 38, sheet 426D, dwelling 51, family 64, age 32, occupation Dry goods Merchant. Melville, SPILMAN PAPERS, p. 145. Virginia Marriages,1785-1940, database, FamilySearch, online http://familySearch.org, Andrew Judson Armstrong and Mary Louisa Tyree - "Virginia, Marriages, 1785-1940," index, FamilySearch (https://familysearch.org/pal:/MM9.1.1/XRDQ-JBF : accessed 16 Jul 2013). Mabel Claire "Aunt Claire" Burke, "MOTHER", biographical schetch. A. J. Armstrong household, 1900 U.S. Census, Culpeper County, Virginia, population schedule, Catalpha District of Culpeper, ED 5, sheet 26A, dwelling 133, family 140, occupation dry goods merchant. Angrew? J. Armstrong household, 1910 U.S. Census, Culpeper County, Virginia, population schedule, Culpeper, ED 16, sheet 80B, dwelling 139, family 139, occupation retail Grocer. 1820 United States Census, Culpeper County, Virginia, A. Armstrong. Find A Grave - Memorial Page, online www.findagrave.com, Memorial#: 13853493. Krajence- POW Zlotow Prussia, Batismals, Burials, Marriage ( 1828 - 18770);. Charles Foster, The Story Of The Bible from Genesis to Rewvelation Told In Simple Language Adapted to all Ages, But especially to the Young, Used by William J. Pratt and Amalie Albrecht to record family information. Krajence- POW Zlotow Prussia, Batismals, Burials, Marriage ( 1828 - 18770);, Microfilm #896088 - Krojenke Parish Vol #13. Krajence- POW Zlotow Prussia, Batismals, Burials, Marriage ( 1828 - 18770);, Microfiche - Patrons research of Krojanke, West Prussa Church Records. Augusta Albrecht household, 1900 U.S. Census, Cook County, Illinoise, population schedule, Chicago, ED 916, sheet 10A, dwelling 86, family 167. Undertaker's report of Death of Augusta Albrecht. Illinois Statewide Death Index, Pre–1916, An Ongoing Project of the Illinois State Archives, online www.cyberdriveillinois.com/departments/archivesservices.html, 00000378. Interviews, Norman U. Pratt, circa 1980, Family Papers. Interviews, Norman U. Pratt, circa 1980. Public Member Tree, online search.ancestry.com, Ferguson,Olly A. and Johnson, James H. - Texas Heritage (vernonfj). Public Member Tree, online search.ancestry.com, Butler Family Tree - davidjamesbutler - posted photo copy of Texas Dept. of Health Certificate of Death. Paloney Harbour household, 1860 U.S. Census, Lavaca County, Paloney Harbour, population schedule, Lavaca, dwelling 225, family 576, age 38, occupation Farmer. Rodney R. Harbour household, 1910 U.S. Census, Santa Cruz County, California, population schedule, Watsonville, ED 0133, sheet 13B, dwelling 279, family 289, age 35, occupation Farmer - General Farm. Calaway Harbour household, 1850 U.S. Census, Yalobusha County, Calaway Harbour, population schedule, North of the Yallobusha River, dwelling 383B, family 96, age 29, occupation Planter. Public Member Tree, online search.ancestry.com, Butler Family Tree - davidjamesbutler - posted photo copy of Texas Dept. of Health Certificate of Death - information provided by W.W. Harbour, Rascoe, Texas. Thomas J(I) Harbour household, 1910 U.S. Census, Reeves County, Thomas J(I) Harbour, population schedule, Toyha, ED 0206, sheet 2A, dwelling 23, family 26, Age 27, Occupation Farmer. C.C. Mckey household, 1910 U.S. Census, Concho County, C.C. Mckey, population schedule, Justice Precinct 2, ED 0028, sheet 2B, dwelling 25, family 34, age 24, occupation Farm Laborer. Confederate Soldiers Home household, 1940 U.S. Census, Travis County, Confederate Soldiers Home, population schedule, Austin, ED 227-64, sheet 1A, Street or Post Office W 11th, National Archives micropublication T627-4150, Widowed, 95 year old Confererate Veteran. FamilySearch - An online Genealogical Service provided by The Church of Jesus Christ of Latter-day Saints including records spanning billions of names across hundreds of collections., online www.familysearch.org, Batch No: C888651; Dates: 1828 - 1870; Source Call No: 0896088; Type: Film; Printout Call No: 0883749; Sheet: 00. Family Search - International Genealogical Index. Ancestral File is a collection of genealogical information taken from Pedigree Charts and Family Group Records submitted to the Family History Department since 1978. The information has not been verified against any official records., online www.familysearch.org/Eng/Search/frameset_search.asp,For Batch No: C888651; Dates: 1828 - 1870; Source Call No: 0896088; Type: Film; Printout Call No: 0883749; Sheet: 00. Indiana. Marriages, 1811-2007 viewed on FamilySearch, online familysearch.org, FamilySearch (https://familysearch.org/ark:/61903/1:1:XX2Y-9JX : 21 January 2016), Otto H Albrecht and Emma K Honeck, 09 Oct 1912; citing Allen, Indiana, United States, various county clerk offices, Indiana; FHL microfilm 2,111,592. England & Wales, FreeBMD Marriage Index: 1837-1983 [database on-line]. Provo, UT, USA: The Generations Network, Inc., 2006. Original data: General Register Office. England and Wales Civil Registration Indexes. London, England: General Register Office., online www.ancestry.com, Marriage: Apr-May-Jun Quarter,Cambridge district, Volume 3b, Page 823. Robert Hills Household, Cambridge, Cambridgeshire, 1861 Census Returns of England and Wales. Richard Goshawk Household, Bridge Street Cambridge, Cambridgeshire, 1851 Census Returns of England and Wales Piece: 1760; Folio: 818, Page: 3; , GSU roll: ? Richard was listed as a married 49 year old Coal Merchant. Ancestry.com, Public Member Stories, online search.ancestry.com, Abstract shared by Marchlane80: from the Bury and Norwich Post-Tuesday 21 May 1878. Under Cambridge and Married: "on the 1st inst, at Cambridge, David Evans Pratt, son of the late William Pratt, coroner for the Northern Divison o Isle of Ely, to Caroline Hills Goshawk, Maids-causeway, Cambridge.". , shared by Abstract shared by Marchlane80: from the Bury and Norwich Post-Tuesday 21 May 1878. Under Cambridge and Married: "on the 1st inst, at Cambridge, David Evans Pratt, son of the late William Pratt, coroner for the Northern Divison o Isle of Ely, to Caroline Hills Goshawk, Maids-causeway, Cambridge." 1881 British Census: Ancestry.com. Provo, UT: Ancestry.com, 2002-. Indexed by Ancestry.com from microfilmed schedules of the England 1881 Census. Images reproduced by courtesy of the Public Record Office, London, England., online search.ancestry.com, Class: RG11; Piece: 1670; Folio: 70; Page: 6; Line: ; GSU roll: 1341399. England & Wales, FreeBMD Death Index: 1837-1915 [database on-line]. Viewed at ancestry.com, online search.ancestry.com, Q-Jan-Feb-Mar; age: 42; Vol: 3b; Page: 345. Edward S. Turner household, 1920 U.S. Census, Fauquier County, Edward S. Turner, population schedule, Center, ED 46, sheet 2A, dwelling 25, family 25, age 49, occupation Lawyer General Practice. Virginia, Death Records, 1912-2014 viewed online at Ancestry.com - "Original data: Virginia, Deaths, 1912–2014. Virginia Department of Health, Richmond, Virginia", online search.ancestry.com, Mela Boston Turner - Certificate 904-10080. F. R. Boston household, 1880 U.S. Census, Elizabeth City County, Virginia, population schedule, Hampton, ED 016, sheet 97D, dwelling 475, family 502, age 33, occupation Minister of the Gospel. Ancestry.com. Virginia, Select Marriages, 1785-1940 [database on-line]. Provo, UT, USA: Ancestry.com Operations, Inc, 2014., online search.ancestry.com, Anna Le.... Schoolfield and Frances Ryland Burton - FHL Film Number: 33441; Reference ID: 52. J. C. Schoolfield household, 1870 U.S. Census, Petersburg City, J. C. Schoolfield, population schedule, Petersburg, dwelling 275B, family 5, age 49, occupation BK Keeper. Rancis R. Boston household, 1900 U.S. Census, Fauquier County, Virginia, population schedule, Warrenton, ED 0028, sheet 2B, dwelling 42, family 42, age 52, occupation Baptist Minister. Henry B. Davis household, 1880 U.S. Census, Kent County, Michigan, population schedule, Grand Rapids, ED 136, sheet 278C, dwelling 258, family 283, age 35, occupation Insurance Agent. Henry B. Davis household, 1910 U.S. Census, Lincoln County, Henry B. Davis, population schedule, South Wichita, ED 0112, sheet 17A, dwelling 139, family 142, age 65, occupation Farmer - General Farm. Caleb B urnley household, 1850 U.S. Census, Culpeper County, Virginia, population schedule, Culpeper, dwelling 266, family 797, 797. Find A Grave - Memorial Page, online www.findagrave.com, Dabney K. Tolson - Find A Grave Memorial# 50612277. Caleb Burnley household, 1850 U.S. Census, Culpeper County, Virginia, population schedule, Culpeper, dwelling 266, family 797, 797. Caleb Barnsley household, 1860 U.S. Census, Culpeper County, Virginia, population schedule, Jeffersonton, sheet 792, dwelling 529, family 483, age 49, occupation Teacher. Nancy S Bumby household, 1870 U.S. Census, Culpeper County, Virginia, population schedule, Jefferson, sheet 599, dwelling 169, family 175, age 28, occupation House Keeping. Dabny Tolson household, 1880 U.S. Census, Culpeper County, Virginia, population schedule, Jefferson, ED 34, sheet 359.1000, dwelling 250, family 253, age 35, occupation Drummer. Dabney K Tolson household, 1900 U.S. Census, Culpeper County, Virginia, population schedule, Jefferson, ED 8, sheet 7B, dwelling 124, family 124, age 56, occupation Farmer. Dabney K. Tolson household, 1910 U.S. Census, Culpeper County, Virginia, population schedule, Jefferson, ED 0020, sheet 2B, dwelling 36, family 36|age 66, occupation Commercial Traveler. Dabney Tolson household, 1920 U. S. Census, Culpeper County, Vriginia, population schedule, Jefferson, sheet 21, dwelling 3A, family 51, 54. Benj. P. Tolson household, 1860 U.S. Census, Stafford County, Benj. P. Tolson, population schedule, Stafford Court House, dwelling 933, family 879, age 60, occupation Farmer. Daniel K. Tolson household, 1870 U.S. Census, Culpeper County, Virginia, population schedule, Jefferson, sheet 599A, dwelling 169, family 176, age 24, occupation Dry goods Merchant. J.T. Walker household, 1870 U.S. Census, Washoe County, J.T. Walker, population schedule, Franktown, dwelling 460, family 3, age 43, occupation Hotel Keeper. CA Death Index, online search.ancestry.com, Harry Cyrus Ober. Place: Los Angeles; Date: 2 Jun 1953; Social Security: 0. Darius C. Dickenson household, 1850 U.S. Census, Elkhart County, Darius C. Dickenson, population schedule, Concord, dwelling 30, family 408, age 32, occupation Carpenter & Joiner. J.T. Walker household, 1870 U.S. Census, Washoe County, J.T. Walker, population schedule, Franktown, dwelling 460, family 2, age 43, occupation Hotel Keeper. CA Death Index, online search.ancestry.com, Place: Orange; Date: 18 Sep 1948; Social Security: 0. Robert Thomas household, 1900 U.S. Census, Inyo County, Robert Thomas, population schedule, Big Pine, ED 0031, sheet 9A, dwelling 162, family 162, age 52, occupation Farmer. Robert Thomas household, 1900 U.S. Census, Inyo County, Robert Thomas, population schedule, Big Pine, ED 31, sheet 9A, dwelling 162, family 162, age 62, occupation Farmer. E. A. Ober household, 1870 U.S. Census, Washoe County, E. A. Ober, population schedule, Franktown, dwelling 460, family 2, age 22, occupation Keeping House. John Gelitz household, 1880 U.S. Census, Cook County, Illinois, population schedule, Chicago, ED 60, sheet 578.4000, dwelling 53, family 83, age 45, occupation Laborer. Ancestry.com. Cook County, Illinois, Birth Certificates Index, 1871-1922 [database on-line]. Provo, UT, USA: Ancestry.com Operations, Inc., 2011. Original data: "Illinois, Cook County Birth Certificates, 1878–1922." Index. FamilySearch, Salt Lake City, Utah, 2009. Illinois. Cook County Birth Certificates, 1878–1922. Illinois Department of Public Health. Division of Vital Records, Springfield. "Illinois. Cook County Birth Registers, 1871–1915." Index. FamilySearch, Salt Lake City, Utah. Illinois. Cook County Birth Registers, 1871–1915. Illinois Department of Public Health. Division of Vital Records, Springfield., online search.ancestry.com, Father Name: Johann Goelitz; Father's Birth Place: Germany; Father's Age: 52; Mother Name: M Schill Goelitz; Mother's Birth Place: Germany; FHL Film Number: 1287732. John Galitz household, 1870 U.S. Census, Cattaraugus County, New York, population schedule, Mansfield, sheet 343B, dwelling 151, family 140, age 35, occupation Farmer. Ancestry.com. Chicago Voter Registration, 1892 [database on-line]. Provo, UT, USA: Ancestry.com Operations Inc, 2001. Original data: Illinois State Archives microfilm (25 rolls)., online www.ancestry.com. Daniel Mc Cloud household, 1880 U.S. Census, Story County, Daniel Mc Cloud, population schedule, Virginia City, ED 47, sheet 208D, dwelling 71, family 72, age 35, occupation Miner. Wm Washington & Addison Yancy Gunter - a summary of the lifes of two of the twelve brothers of Lemuel & Rebecca (Williams) Gunter. Their arrival in Texas, entering into the mercantile field and later the development of cattle, horse and agriculture Taken from the Johnson/Campbell/McCullough/Guy Tree pages for William Washington Gunter at anncestry.com, online search.ancestry.com. Peter Holtzclaw household, 1850 U.S. Census, Clay County, Missouri, population schedule, Liberty, dwelling 307A, family 92, 92. Wm. H. Gunter household, 1880 U.S. Census, CookeCo, Wm. H. Gunter, population schedule, ED 116, sheet 331B, dwelling 247, family 253, age 47, occupation Farmer. Find A Grave - Memorial Page, online www.findagrave.com, Lillian Gunter - Find A Grave Memorial# 64262695. Joshua Dwelly household, 1850 U.S. Census, Washington County, Maine, population schedule, Machiasport, dwelling 68A, family 34, 34. Joshua Delly household, 1850 U.S. Census, Washington County, Maine, population schedule, Machiasport, dwelling 68A, family 34, 34. Joshua Dwelley household, 1860 U.S. Census, Washington County, Maine, population schedule, East Machias, sheet 396, dwelling 308, family 337, Age 57, Occupation Shoemaker. Joshua Dwelley household, 1870 U.S. Census, Washington County, Maine, population schedule, East Machias, sheet 215B, dwelling 323, family 329, age 68, occupation Shoe Maker. Luther Dwelly household, 1880 U.S. Census, Washington County, Maine, population schedule, East Machias, ED 184, sheet 312C, dwelling 223, family 235, age 31, occupation House Joiner. C. Levi McKowan household, 1870 U.S. Census, Washington County, Maine, population schedule, East Machias, sheet 216A, dwelling 233, family 258, age 25, occupation Sailor. Alexander Cultin household, 1900 U.S. Census, Bradley County, Alexander Cultin, population schedule, District 8, dwelling 0014, family 52, 52. Find A Grave - Memorial Page, online www.findagrave.com, Find A Grave Memorial# 69813628; Children: Clemie E. Culton(1851-1881); Emma E. Culton Bryant (1887-1909); Sallie A. Culton Edwards (1862- 1902). - Spouses: Sarah F. Newman (1821-1882); Susan Carmack Culton (1845-1916). Find A Grave - Memorial Page, online www.findagrave.com, Find A Grave Memorial#69813070;. Find A Grave - Memorial Page, online www.findagrave.com, Find A Grave Memorial# 69813251. Public Member Tree, online search.ancestry.com, Jarrell-Breeden-Ko - jarrell159. Beriman Breeden household, 1870 U.S. Census, Fulton County, Beriman Breeden, population schedule, Woodland, dwelling 309A, family 117, age 35. Occupation "Works on Farm." B. J. Breeden household, 1880 U.S. Census, Mason County, Illinois, population schedule, Lynchburg, ED 135, sheet 526A, dwelling 117, family 119, age 45, occupation Farmer. Green, GENEALOGICAL AND HISTORICAL Notes, page (II) 83. Thomas B Hamlin household, 1850 U.S. Census, Dinwiddie County, Virginia, population schedule. Thos B. Hamlin household, 1860 U.S. Census, Dinwiddie County, Virginia, population schedule. Thos B Hamlin household, 1870 U.S. Census, Dinwiddie County, Virginia, population schedule. Henry Lovet household, 1900 U.S. Census, Dinwiddie County, Henry Lovet, population schedule, Namozine, ED 0023, sheet 2A, dwelling 24, family 24, age 58, occupation Farmer. Henry C. Lovitt household, 1880 U.S. Census, Dinwiddie County, Virginia, population schedule, Nomozine, ED 082, sheet 265B, dwelling 177, family 183, age 33, occupation Farmer. Thos. Gibbons household, 1880 U.S. Census, Summit County, Thos. Gibbons, population schedule, Rockport, ED 073, sheet 25C, dwelling 3, family 3, age 57, occupation Farmer. BYU-Idaho SpecialCollections: McKay Library 240A, Rexburg, ID 83460, Western States Marriage Records Index, online http://abish.byui.edu/specialcollections/, Groom: Thomas Gibbons; Bride: Sarah Lack. County: Salt Lake; Page 35, ID#270472. Public Member Tree, online search.ancestry.com, Severson Family Tree - ckirkwood35. Joseph Graham household, 1880 U.S. Census, Montgomery County, Joseph Graham, population schedule, Parker, ED 158, sheet 307A, dwelling 10, family 10, age 34, occupation Miner. J H Graham household, 1870 U.S. Census, Montgomery County, Kansas, population schedule, Westralia, sheet 670A, dwelling 144, family 144, age 23, occupation Farmer. A Henderson household, 1870 U.S. Census, Lucas County, Ohio, population schedule, Washington, sheet 536B, dwelling 133, family 135, age 67, occupation Gardner. Alexander Henderson household, 1850 U.S. Census, Lucas County, 1850, population schedule, Toledo, dwelling 69B, family 950, 950. Warren M. Williams household, 1880 U.S. Census, Steuben County, Warren M. Williams, population schedule, Jasper, ED 184, sheet 408D, dwelling 221, family 228, age 33, occupation Farmer. Johnathon Purdy household, 1875 New York State Census, Steuben County, Johnathon Purdy, population schedule, Jasper, ED Jasper, House: 249,Sheet 20, Line 26, age 55 born in Dutches County, occupation Farmer. Jonathan Purdy household, 1850 U.S. Census, Steuben County, New York, population schedule, Jasper, dwelling 293A, family 1457, 1888. William Mcfarland household, 1870 U.S. Census, Steibem County, William Mcfarland, population schedule, Troupsburg, dwelling 463A, family 209, age 28, occupation Farmer. Johathon Purdy household, 1860 U.S. Census, Steibem Cpimtu, Johathon Purdy, population schedule, Jasper, dwelling 804, family 332, age 38, occupation Farmer. Benjamin M. Young (Yancey) household, 1850 U.S. Census, Culpeper County, Virginia, population schedule, County, dwelling 232A, family 240, 240. Find A Grave - Memorial Page, online www.findagrave.com, Pamela Soommerville Yancy Brown - Find A Grave Memorial# 9768750. Benjamin household, 1860 U.S. Census, Culpeper County, Virginia, population schedule, Not Stated, sheet 820, dwelling 220, family 196, age 54, occupatione Farmer. Benjamin M. Yancey household, 1870 U.S. Census, Culpeper County, Virginia, population schedule, Catalpa, sheet 571A, dwelling 260, family 269, age 61, occupation Farmer. B. M. Yancey household, 1880 U.S. Census, Culpeper County, Virginia, population schedule, Catalpa, ED 032, sheet 310C, dwelling 18, family 19, age 71, occupation Farmer. Find A Grave - Memorial Page, online www.findagrave.com, Mary Crimora Yancey Payne - Find A Grave Memorial# 8070038. John W. Payne household, 1900 U.S. Census, Culpeper County, Virginia, population schedule, Jefferson, ED 0009, sheet 4A, dwelling 57, family 59, age 54, occupation Farmer. George Sands Household, Leake, Lincolnshire, 1871 Census Returns of England and Wales. George Sands Household, Leake, Lincolnshire, 1881 Census Returns of England and Wales. George Sands Household, Leake, Lincolnshire, 1891 Census Returns of England and Wales. George Sands Household, Leake, Lincolnshire, 1901 Census Returns of England and Wales. Joshua Hunter household, 1920 U.S. Census, Hanover County, Joshua Hunter, population schedule, Ashland, ED 25, sheet 7B, dwelling 156, family 169, age 75, occupation Clegeryman - Local Parish. Lewis Stuart household, 1880 United States census, Jackson County, Lewis Stuart, population schedule, Blue, ED 025, sheet 61, dwelling 36, family 36, age 38, occupation Railroading. Jesse Curtis household, 1880 U.S. Census, Culpeper County, Virginia, population schedule, Stevensburg, ED 037, sheet 409A, dwelling 257, family 277, age 50, occupation Farmer. Louis Kruger household, 1910 U.S. Census, Ottawa County, Louis Kruger, population schedule, Minneapolis, ED 0090, sheet 19A, dwelling 165, family 166, age 65, occupation None. Saml (Samuel) Withrow household, 1850 U.S. Census, Fayette County, Saml (Samuel) Withrow, population schedule, District 14, dwelling 341B, family 151, age 48, occupaton Farmer. Samuel Withrow household, 1860 U.S. Census of Fairfax County Virginia, Fayette County, Virginia, population schedule, Mountain Cove P.O., sheet 375, dwelling 481, family 436, age 58, occupation Farmer. Samuel Withrow household, 1870 U.S. Census, Fayette County, Samuel Withrow, population schedule, Mountain Cove, dwelling 149A, family 138, age 68, occupation Farmer. California Marriages, 1850-1945, database online at, online www.familysearch.org, FamilySearch (https://familysearch.org/ark:/61903/1:1:V2ZS-23Q : 10 February 2018), N. R. Mitchell and Mary Peterman, 18 Feb 1866; citing , San Joaquin, California; FHL microfilm 924,488. California, County Birth and Death Records, 1800-1994, database with images, online www.familysearch.org, FamilySearch ([REFERENCE-ERROR] : [REFERENCE-ERROR]), [REFERENCE-ERROR] > image [REFERENCE-ERROR] of [REFERENCE-ERROR]; California State Archives, Sacramento. Reference ID: 526; GS Film Number: 1851159: Digital Folder Number: 004281001; Image Number: 538. N. R. Mitchell household, 1880 U.S. Census, San Joaquin, California, population schedule, Tulare, ED 106, sheet 251A, dwelling 2, family 2, age 35, occupation Farmer. Find A Grave - Memorial Page, online www.findagrave.com, Nathan R. Mitchell - Memorial ID: 94436248. California, County Marriages - viewed at FamiySearch, online www.familysearch.org, FamilySearch (https://familysearch.org/ark:/61903/1:1:K8XL-NM3 : 10 December 2017), Mary J Peterman in entry for Nathan E Mitchell and Annie Rhodes, 20 Nov 1907; citing San Joaquin, California, United States, county courthouses, California; FHL microfilm 1,411,586. Wisconsin, County Marriages, 1836-1911, database online at FamilySearch, online familysearch.org, FamilySearch (https://familysearch.org/ark:/61903/1:1:XRJ8-ZFC : 17 March 2018), August Law in entry for Michael W. Mynes and Emma Mary Matilda Law, 04 Sep 1888; citing , Grant, Wisconsin, United States, Wisconsin Historical Society, Madison; FHL microfilm 1,266,662. Wisconsin, County Marriages, 1836-1911, database online at FamilySearch, online familysearch.org, FamilySearch (https://familysearch.org/ark:/61903/1:1:XRJX-ZD8 : 16 March 2018), Lewis H. Law and Elveretta Smith, 07 Nov 1899; citing , Grant, Wisconsin, United States, Wisconsin Historical Society, Madison; FHL microfilm 1,266,664. August Law household, 1880 U.S. Census, Grant County, Wisconsin, population schedule, Glen Haven, ED 106, sheet 114B, dwelling 7, family 8, age 40, occupation Farmer. August M. Harra household, 1900 United States census, Jackson County, August M. Harra, population schedule, Buckner (Ft. Osage), ED 11, sheet 7B, dwelling 136, family 137, age 58, occupation Farmer. Isrelda Stephenson household, 1860 U.S. Census, Grant County, Wisconsin, population schedule, Beetown, sheet 17, dwelling 1389, family 1360, age 39, occupation Seamstress. James Stephenson household, 1850 U.S. Census, Grant County, Wisconsin, population schedule, District 24, dwelling 69, family 1018, 1018. James A. Reynolds household, 1900 U.S. Census, San Joaquin County, California, population schedule, Tulare, ED 117, sheet 10A, dwelling 190, family 204, age 59,occupation Farmer. James A. Reynolds household, 1910 U.S. Census, Santa Cruz County, California, population schedule, Soquel, ED 132, sheet 4B, dwelling 113, family 113, age 68,occupation Boarding House. James Reynolds household, 1880 U.S. Census, San Joaquin, California, population schedule, Castoria, ED 236C, sheet 10, dwelling 11, family occupation farmer. Emanuel Block household, 1860 U.S. Census, Grant County, Wisconsin, population schedule, Beetown, sheet 11, dwelling 1346, family 1417, age 25, occupation Merchant. Family Search - International Genealogical Index. Ancestral File is a collection of genealogical information taken from Pedigree Charts and Family Group Records submitted to the Family History Department since 1978. The information has not been verified against any official records., online www.familysearch.org/Eng/Search/frameset_search.asp,For Batch No: M586692; Film or Fiche: 092448; Marriage records of San Joaquin County, California, San Joaquin Genealogical Society (Stockton, California). James A. Reynolds household, 1920 U. S. Census, Santa Cruz County, James A. Reynolds, population schedule, Santa Cruz (Soquel Valley), ED 220, sheet 13A, dwelling 377, family 380, age 80, occupation None. CA Death Index, online familysearch.org, FamilySearch (https://familysearch.org/ark:/61903/1:1:QKSM-HLDY : accessed 20 May 2016), Ambezett Reynolds, 1927; citing 38167, Department of Health Services, Vital Statistics Department, Sacramento. Jacob Idlebush household, 1850 U.S. Census, Sheboygan County, Wisconsin, population schedule, Scott, dwelling 143, family 1386, 1386. John Edelbush household, 1860 U.S. Census, Sheboygan County, Wisconsin, population schedule, Scott, sheet 313, dwelling 138, family 124, age 44, occupation Farmer. Jacob Adlebush household, 1880 U.S. Census, Sheboygan County, Wisconsin, population schedule, Scott, ED 212, sheet 188B, dwelling 91, family 91, age 69, occupation Farmer. D.R. Sparks household, 1880 U.S. Census, Jefferson County, Wisconsin, population schedule, Cold Spring, ED 163, sheet 19B, dwelling Unk, family Unk, age 68, occupation not listed. J.W. Kidd household, 1860 U.S. Census, Sauk County, Wisconsin, population schedule, Cold Spring, sheet 21, dwelling 74, family 74, age 28, occupation Farmer. L. R. Sparkes household, 1860 U.S. Census, Jefferson County, Wisconsin, population schedule, Cold Spring, sheet 38, dwelling 1798, family 1604, age 58, occupation Farmer. Oliver P. McCollum household, 1920 U. S. Census, Glenn County, California, population schedule, Nelson, sheet 38, dwelling 15B, family 97, 99. CA Death Index, online search.ancestry.com, Margaret Frances McCollum's Death Certificate. W. R. Isom household, 1880 U.S. Census, Clay County, Illinois, population schedule, Hossier, ED 149, sheet 300D, dwelling 72, family 72, age 45, occupation Farmer. Ancestry.com. Indiana Marriage Collection, 1800-1941 [database online]. Provo, Utah: MyFamily.com, Inc., 2005., online at search.ancestry.com, Daviess County, Indiana; Index to Marriage Record 1850 - 1920 Inclusive Vol; W. P. A. Original Record Located: County Clerk's Ofice; Book: 2; Page: 415;. William Isam household, 1870 U.S. Census, Lawrence County, Indiana, population schedule, Marion, sheet 433, dwelling 211, family 211, age 35, occupation Farmer. John Piel household, 1870 U.S. Census, Bartholomew County, John Piel, population schedule, Columbus, dwelling 59, family 125, age 30, occupation Grocer. John Piel household, 1880 U.S. Census, Bartholomew County, Indiana, population schedule, Columbus, ED 4, sheet 69A, dwelling 51, family 54, age 40, occupation Retired Grocer. On the 29th of July, 1860, we the undersigned priest baptized Joseph 8 years old, child of Joesph Laverdure and Lisette Walla-Walla. Sponsors Alexandre Dumond and Martine Lessart. Find A Grave - Memorial Page, online www.findagrave.com, Martha Carson Lavadour Carpinter - Find A Grave Memorial# 5927703. Find A Grave, database and immages, online www.findagrave.com, Pansy Margaret McQuerry Basham, Find A Grave Memorial no: 133367900. John McQuerry household, 1860 U.S. Census, St LLouis County, Missouri, population schedule, Manchester, sheet 485, dwelling 172, family 167, age 38, occupation Jobbom? Charles W McQuerry household, 1910 U.S. Census, Johnson County, Charles W McQuerry, population schedule, Warrensburg, ED 121, sheet 19B, dwelling 498, family 512, age 62, occupation Carpenter - House. Find A Grave - Memorial Page, online www.findagrave.com, Mary Burgwin Jocelyn - Find A Grave Memorial# 104379384. Joseph B. Joscelyn household, 1800 U.S. Census, Sullivan County, New York, population schedule, Rockland, dwelling 209, family 162, 160. New York State Archives, Cultural Education Center, Albany, New York; New York Civil War Muster Roll Abstracts, 1861-1900; Archive Collection #: 13775-83; Box #: 863; Roll #: 519. Viewed online at Ancestry.com., online search.ancestry.com, Marcus Jocelyn - 12th Cavalry - Harre-K; p. 519. Markus Jocelyn household, 1900 U.S. Census, Ulster County, Markus Jocelyn, population schedule, Esopus, ED 0092, sheet 21A, dwelling 414, family 480, age 56, occupation Farmer. Joseph B. Jocelyn household, 1870 U.S. Census, Sullivan County, Joseph B. Jocelyn, population schedule, Rockland, dwelling 691B, family 143, age 61, occupation Farmer. Marcus Goldlyn (Jocelyn) household, 1910 U.S. Census, Worcester County, Marcus Goldlyn (Jocelyn), population schedule, Atkins, ED 0132, sheet 6A, dwelling 94, family 94, age 64, occupation Farmer - General Farm. Marcus Jocelyn household, 1920 U.S. Census, Somerset County, Marcus Jocelyn, population schedule, West Princess Anne, ED 84, sheet 5A, dwelling 108, family 111, age 73, occupation None. North Carolina, Deaths, 1906-1930, database with images online at FamilySearch., online familysearch.org, FamilySearch (https://familysearch.org/ark:/61903/1:1:F3FM-B51 : 8 December 2014), Isaac Williams in entry for Winifred Smith, 28 Sep 1925; citing Stewarts Creek, Harnett, North Carolina, reference fn 968 cn 316, State Department of Archives and History, Raleigh; FHL microfilm 1,893,741. James L. Smith household, 1900 U.S. Census, Cumberland County, North Carolina, population schedule, Black River, ED 0018, sheet 3B, dwelling 55, family 55, age 55, occupaton Farmer. James L. Smith household, 1910 U.S. Census, Harnett County, North Carolina, population schedule, Stewarts Creek, ED 0075, sheet 10B, dwelling 169, family 169, age 33, occupation Income? Jim L Smith household, 1920 U.S. Census, Harnett County, North Carolina, population schedule, Lillington, ED 84, sheet 3A, dwelling 44, family 46, age 74, occupation None. Find A Grave - Memorial Page, online www.findagrave.com, Viola Ray Lee Slaughter - Find A Grave Memorial# 133319308. Find A Grave - Memorial Page, online www.findagrave.com, Mary Slaughter - Find A Grave Memorial# 20647892. Find A Grave - Memorial Page, online www.findagrave.com, Martha Lee Slaughter Harned - Find A Grave Memorial# 27110476. The San Joaquin Genealogical Society, Old Cemeteries of San Joaquin County California, Volume I, Page 26. East Union Cemetery - Reynolds Monument, same plot: inscription: "Susan Maloy Campbell, Nov. 24, 1814 - Sep. 24, 1886. " The San Joaquin Genealogical Society, Old Cemeteries of San Joaquin County California, Volume I, Page 19. East Union Cemetery - Reynolds Monument, inscription: "Anna M, Wife of E. L. Reynolds, Feb. 19, 1845 - Mar. 25, 1911." William Campbell household, 1860 U.S. Census, Grant County, Wisconsin, population schedule, Ellenboro, sheet 112, dwelling 830, family 830, age 46, occupation Farmer. Ancestry.com. 1861-1871 Marion County Indiana Marriages, online www.ancestry.com. William O. Hoque household, 1870 U.S. Census, Bartholomew County, William O. Hoque, population schedule, Columbus, dwelling 68, family 230, age 48, occupation Druggist. Find A Grave - Memorial Page, online www.findagrave.com, Herman H Von Strohe - Find A Grave Memorial# 137946809. Ancestry.com. Baltimore Passenger Lists, 1820-1948 [database on-line]. Provo, UT, USA: Ancestry.com Operations Inc, 2006. Original data: * Baltimore, Maryland. Passenger Lists of Vessels Arriving at Baltimore, Maryland, 1891-1909. Micropublication T844. RG085. 150 rolls. National Archives, Washington, D.C. * Baltimore, Maryland. Passenger Lists of Vessels Arriving at Baltimore, Maryland, 1820-1891. Micropublication M255. RG036. 50 rolls. National Archives, Washington, D.C., online www.ancestry.com, Name: Herm Hron Strohe; Arrival Date: Jun 1855; Age: 9; Estimated Birth Year: abt 1846; Port of Departure: Bremen, Germany; Ship Name: Schiller; Port of Arrival: Baltimore, Maryland; Last Residence: Ingler; Birthplace: Ingler;. Louis Vonstrohe household, 1880 U.S. Census, Bartholomew County, Indiana, population schedule, Waymansville, ED 9, sheet 169D, dwelling 90, family 94, age 34, occupation Farmer. 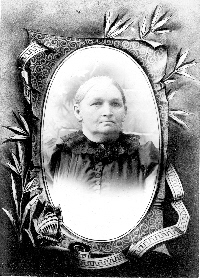 Sarah Eugenia Jones was born on 8 March 1845 in Fayetteville, Cumberland County, North Carolina.2 She was the daughter of Rev. Charles Pinckney Jones and Sarah Ann McLauchlin.1 Sarah first appears in the census of her grandparents, Archibald McLauchlin and Sarah Ann Blocker, on 25 July 1850 at Fayetteville.3 On 7 June 1860 she was listed in the census of her parents, Rev. Charles Pinckney Jones and Sarah Ann McLauchlin, at Neuse River, Craven County, North Carolina.4 Sarah Eugenia Jones graduated on 15 May 1861 from Greensborough Female College, Greensborough, North Carolina; "Greensborough Female College, State Of North Carolina, To all whom these presents may come "Greeting!" Be it known that we, the Faculty of Greensborough Female College with the advice and consent of the Board of Trustees have given this "Diploma" to as a token of her proficiency in the Course of Study prescribed for "Graduation" by the Authorities of the Institution. "The Testimony whereof" we have hereunto subscribed our names and caused the Common Seal of The College to be affixed. Given in Greensbourough at the Annual Commencement on the 15th day of May 1861 signed Y B Nicholson, President of the Board of Trustees and Signed by T. M. Jones (President) and Cilla D Clury, Sue Doty, M.E. Carter, W.F. Alderman, F. M. Bobum, Will C. Doyle, M.J. Bethel, Federico Genmari, and W.C.A. Freriche". Interestingly Sarah's Diploma was written on an actual sheep's skin.5 She with also with her parents for the census of on 13 June 1870 at Boonville, Cooper County, Missouri.6 In July 1877 Having come to California with her family, Sarah Eugenia met Herman Burke while she was teaching school in Yuba City, California. Herman was farming in the area having come west after the Civil War.7 On 13 August 1877 Sarah Eugenia Jones married Herman Daniel Burke in the Methodist Church, Mountain View, Santa Clara County, California. They were married by Sarah's father the Rev. Charles Pinckney Jones.8 Herman and Sarah appeared on the census of 10 June 1880 in Fremont Township, Santa Clara County, California.9 They also appeared on the Territorial census of 1883 in White River District, King County, Washington; In the household of H.D. Burke.10 They last appeared to gether on the census of April 1885 in Titusville, King County, Washington. After Herman Burke's death in September of 1888, a widowed Sarah Eugenia Jones married Alfred C. Baker on 31 July 1891.11 Sarah Eugenia Jones and Alfred C. Baker appeared on the census of 1892 in Kent, King County, Washington.11 In a declaration for pension of children under sixteen years of age, Sarah provided proof of the names of her and Herman Burke's children and of Herman's date of death. In that declaration, she states that "Eugenia S. Baker, resident of Kent, age 48 years is the legal guardian of Eugene Burke, Willie Burke, Victor Burke, James Burke, and Mabel Burke, that they are the legitimate children of Herman Burke who Enlisted under the name of Herman Burke at Indianapolis on ----- Certif No 265092 in the war of the Rebellion who died(3) Sept 20, 1888".12 On 9 October 1894 at San Francisco, California, Sarah and her first husbane, Herman, were recorded in a list of pensions granted to applications from the pacific sloap "Washington - Original widows, etc., reissue, minors of Herman Burke, Keht, King county; restoration and reissue".13 Sarah Eugenia Jones appeared on the census of 1 June 1900 in Meeker Precinct, King County, Washington; Record very difficult to read...14 On 1 December 1907, in a 3 page letter to son H.E. Burke, Sarah provide this brief family history. "Archie McLauchlin, my mother's father was born in Scotland - came to N.C. when was about 13 - died in Fayetteville N.C. two years after the close of the Civil War. He was over 80 years at the time of his death. He was a member of the M.E. Church South and a very good man. Sarah Ann McLauchlin, my mother's mother was born in America - died in Fayetteville, N.C. - lived to be 73. My mother, Sarah Ann McLauchlin, and my father Charles P. Jones, D.D. were married in Fayetteville, N.C. in 1844. My mother was born in Fayetteville, N.C. in 1923. My father in Guilford Co. N.C. in 1818. My mother, Sarah A. Jones died in Yuba City Cal - she lived to be 51. - died of congestive chill. My father, C.P. Jones, D.D. died in Kent, Washington in 1902 - lived to be 84. His father was 95 when he died. C. P. Jones, D.D. was an honored minister with the M.E. Church South - C. P. Jones was Capt, during the Civil War, of the Kennedy Light Artillery. The Company was formed in Washington N.C. S.A. Jones and C. P. Jones had 9 children, 4 girls & 5 boys, 6 of whom are now living. and named Sarah Euginia Baker, Rev. C.O. Jones, Archie, William G., James T. Jones and Dora Alvord. S.E. Jones Baker, your mother now 62, was born in Fayetteville, N.C. March 8th 1845, and was married to H.D. Burke, your father in Mt. View, Cal. on the 13th of August 1877, & to A. C. Baker 31st of July 1891 in San Jose, Cal. - I S.E. Baker had 5 children - 4 boys & one girl. H.E. Burke, W.E., C.V., J.G. & Mabel C. Burke. J.G. Burke died, of pneumonia, in New Mexico Feb 10th 1907 - was buried in Alto Messa Cemetery in Santa Clara Co. near Palo Alto Feb 17th. He was born June 54th 1883 in Kent, Washington. H.E. Burke wa born at Camp Scott Nevada Nevada, May 19th, 1878. W.E. Burke, born near Mayfield, Cal, June 8th 1880, C.V. Burke born march 12th, 1882, Kent, Washington. Mabel Claire Burke was born Feb. 28th 1887, Kent, Washington. There has never been any consumption, cancer, catarch or paralysis in our family - inherited or chronic - H.D. (Harry or Herman) was born in Hanover, Germany in 1843 - died in Santa Clara Cou. Cal. Sep 20th 1888. He fought in the Civil War was wonded in the left knee, back of neck, beaten on head, and was nearly frozen to death. His health was imparied by his army hardships, and the Dr. thought his sickness came from his war service - his left side became gradually paralyzed, & from it he died. He was granted a pension of $50. a month but it came after his death - then his widow recieved $12 a month, & each child $2 a month until the age of 16. I have H.D. burke's honorable discharge, & pension papers. P.S. H.D. Burke's father was born in Hanover, Germany - fought in the rebellion there - was wounded and died of his wonds. His widow died a few years after, it is said of a broken heart - You father often told me this, and of the many hardships they suffered during that rebellion. Your father had a brother in Indianapolis who owned a starch factory - he had a large family - One of his boys was named Ed. The proof of your ages and my marriage are found in my family bible, and are correct. "15 She appeared on the census of 18 April 1910 at 603 Lytton Ave., Palo Alto, Santa Clara County, California; Residing with her at the time was Anutie Scott (Sarah Tower) and daughter Mabel.16 After having bedn abandoned in 1900, Sarah Eugenia Jones divorced Alfred C. Baker in 1917.17 On 23 April 1917 Eugenia Burke Baker was listed as on a remarried widows pension card as the widow of Herman Burke who servied in company K, 1st Ind. Cav.18 Sarah Eugenia Jones appeared on the census of 17 January 1920also in Palo Alto.19 She died on 4 September 1923 at Palo Alto, Santa Clara County, California, at age 78. Sarah, a college graduate of Greensborough Female College herself, had a strong belief in education and all 5 of her children graduated from college with 3 eventually receiving PhD's, given her hardships and the times, certainly a credit to her dedication to education and a considerable accomplishment. Letter, Tom McLochlan to David C. Pratt, ca 1980. Archibald McLauchlin household, 1850 U.S. Census, Cumberland County, North Carolina, population schedule, Fayetteville, sheet 4, dwelling 68, family 72. Charles P. Jones household, 1860 U.S. Census, Craven County, North Carolina, population schedule, Neuse River, sheet 85, dwelling 187, family 187, occupation Minister, Methodst. Mabel Claire "Aunt Claire" Burke, "MOTHER", Clair Cramer has the genuine sheepskin. Marriage certificate of Herman Daniel Burke and Sarah Eugenia Jones. H D Burke household, 1880 U.S. Census, Santa Clara County, California, population schedule, Fremont Township, ED 252, sheet 289B, dwelling 258, family 258, occupation farmer. 1883 US Territorial census, Page 6. 44,29. 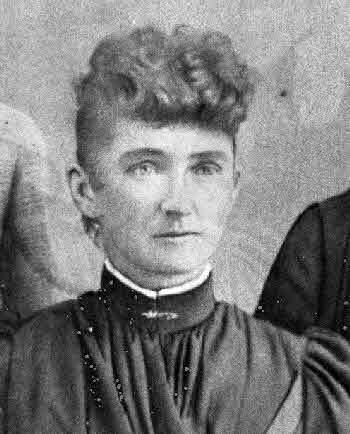 Sarah E. Burke, Widows Pension File, 382922. San Francisco Chronicle, 9 Oct 1894. Sarah E Baker household, 1900 U.S. Census, King County, Washington, population schedule, Meeker, ED 76, sheet 1B, dwelling 12, family 12, age 55, occupation ? Letter, Sarah Eugenia Jones/Burke/Baker to Harry E. Burke, 1 Dec 1907. Sara E. Baker household, 1910, Sacramento County, California, population schedule, Palo Alto, ED 78, sheet 216A, dwelling 69, family 71, own income. Mabel Claire "Aunt Claire" Burke, "My Grandmother's Account Book Diary." United States Remarried Widows Index to Pension Applications, 1887-1942," database with images, online familysrch.org, FamilySearch (https://familysearch.org/ark:/61903/1:1:KZ7M-194 : 8 August 2017), Herman Burke, 1917; citing Pension, NARA microfilm publication M1784 and M1785 (Washington D.C.: National Archives and Records Administration, n.d.); FHL microfilm 2,155,463. Eugenia Burke household, 1920 U. S. Census, Santa Clara County, Eugenia Burke, population schedule, Palo Alto, ED 138, sheet 15A, dwelling 336, family 386, living on Litton, age showen as 74. LDS, Family Search, International Genealogical Index(TM) (IGI) Batch No: C888651; Dates: 1828 - 1870; Source Call No: 0896088; Type: Film; Printout Call No: 0883749; Sheet: 00. Family Search - International Genealogical Index. Ancestral File is a collection of genealogical information taken from Pedigree Charts and Family Group Records submitted to the Family History Department since 1978. The information has not been verified against any official records., online familysearch.org,For "Deutschland, Geburten und Taufen 1558-1898," index, FamilySearch (https://familysearch.org/pal:/MM9.1.1/NTXW-YJ8 : accessed 04 Sep 2013), Caroline Benzel in entry for Julius Emil Grommoll, 19 JUL 1862. Find A Grave - Memorial Page, online www.findagrave.com, Mary Elizabeth Caraway McLauchlin - Find A Grave Memorial# 43623133. Find A Grave - Memorial Page, online www.findagrave.com, Kate McLauchlin Covington - Find A Grave Memorial# 85074718. Find A Grave - Memorial Page, online www.findagrave.com, Rev Wilford Campbell McLauchlin - Find A Grave Memorial# 95065248. Public Member Tree, online search.ancestry.com, Robertson Family - xXxAndrewAndyPR. Abraham Lawrence household, 1870 U.S. Census, Holt County, Missouri, population schedule, Union, sheet 223A, dwelling 30, family 30, age 25, occupation Farmer. Abraham Lawrence household, 1880 U.S. Census, Holt County, Abraham Lawrence, population schedule, Lincoln, ED 021, sheet 55B, dwelling 75, family 88, age 35, occupation Farmer. Abraham Lawrence household, 1900 U.S. Census, Holt County, Abraham Lawrence, population schedule, Lincoln, ED 0091, sheet 4A, dwelling 63, family 64, age 55, occupation Farmer. Abe Lawrence household, 1910 U.S. Census, Holt County, Abe Lawrence, population schedule, Craig, ED 0117, sheet 6A, dwelling 112, family 114, age 64, occupation - own income. Daivd Stoner household, 1870 U.S. Census, Rockbridge County, Daivd Stoner, population schedule, Natural Bridge, dwelling 518A, family 131, age 52, occupation Farmer. David Stoner household, 1860 U.S. Census, Rockbridge County, Virginia, population schedule, Lexington, sheet 217, dwelling 865, family 865, age 45, occupation Farmer. B. F. Burks household, 1910 U.S. Census, Rockbridge County, B. F. Burks, population schedule, Natural Bridge, ED 0111, sheet 9B, dwelling 158, family 160, age 61, occupation None. Children of Rosa B Crowell and Tryon M Yancey Jr.
Tyron Yancey household, 1880 U.S. Census, Tuolumne County, California, population schedule, Sonora, ED 107, sheet 134A, dwelling 142, family 144, age 52, occupation Sheriff - Printer. Ancestry.com - OneWorldTree, online search.ancestry.com, For Tryon Milton Yancey. H. S. Crowell household, 1860 U.S. Census, Tuolumne County, H. S. Crowell, population schedule, Sonora, dwelling 223, family 659, age 50, occupation Teamster. Jesse Gould household, 1850 United States census, Kennebec County, Maine, population schedule, Pittston, sheet 145, dwelling 73, family 75, age 41, occupation Merchant. T. M. Yancey household, 1870 U.S. Census, Tuolumne County, T. M. Yancey, population schedule, Township 1, dwelling 314, family 150, age 41, occupation Printer. United States Mexican War Pension Index, 1887-1926, database with images online at FamilySearch, online familysearch.org, FamilySearch (https://familysearch.org/ark:/61903/1:1:K8HH-VKS : 4 December 2014), Tryon M Yancey, 1898; citing Pension, California, NARA microfilm publication T317 (Washington D.C.: National Archives and Records Administration, n.d.); FHL microfilm 537,013. Rocelia Yancey household, 1900 U.S. Census, Tuolumne County, Rocelia Yancey, population schedule, Sonora, ED 124, sheet 12B, dwelling 284, family 308, age 55, occupation ? Find A Grave - Memorial Page, online www.findagrave.com, Rosa B. Yancey - Find A Grave Memorial# 31408359. California, County Marriages - viewed at FamiySearch, online www.familysearch.org, FamilySearch (https://familysearch.org/ark:/61903/1:1:XLWP-RMS : 8 December 2017), John Haskell Shedd in entry for John Frederich Shedd and Esta Katherine Stiffler, 23 Dec 1909; citing Los Angeles, California, United States, county courthouses, California; FHL microfilm 1,033,21. Find A Grave, database and immages, online www.findagrave.com, Elizabeth M. Salmon Shedd, Find A Grave Memorial no: 62357221. California, County Marriages - viewed at FamiySearch, online www.familysearch.org, FamilySearch (https://familysearch.org/ark:/61903/1:1:K825-H9K : 10 December 2017), John H Shedd and Elizabeth M Salmon, 11 Nov 1869; citing San Joaquin, California, United States, county courthouses, California; FHL microfilm 1,841,855. John M(H) Shedd household, 1870 U.S. Census, Inyo County, California, population schedule, Independence, sheet 324B, dwelling 18, family 15, age 34, occupaton Boot and Shoe Maker. John H Shidd household, 1880 U.S. Census, Fresno County, California, population schedule, Township 2, ED 11, sheet 292D, dwelling 107, family 107, age 44, occupation Farmer. John H Shedd household, 1900 U.S. Census, Madera County, California, population schedule, Township One, ED 38, sheet 3A, dwelling 49, family 49, age 64, occupaton Farmer. John H Shedd household, 1910 U.S. Census, Madera County, California, population schedule, Fresno, ED 47, sheet 10B, dwelling 1966, family 223, age 64, occupaion Own Income. Lucy Lydick household, 1900 U.S. Census, Mendocino County, California, population schedule, Ten Mile River, ED 0077, sheet 2A, dwelling 25, family 25, age 54, occupation Farmer. California, County Marriages - viewed at FamiySearch, online www.familysearch.org, Ruel S. Lydick, Mendocino County. Parents: Isaah Lydick and Lucy De Willy. Jedediah Dwelly household, 1860 U.S. Census, Washington County, Maine, population schedule, Crawford, sheet 240, dwelling 87, family 86, age 60, occupation Farmer. Lucy Lydick household, 1900 U.S. Census, Mendocino County, California, population schedule, Ten Mile River, ED 0077, sheet 2A, dwelling 25, family 25, age 21, occupation Farmer. Jedediah Dwelley household, 1850 U.S. Census, Washington County, Maine, population schedule, Crawford, dwelling 231B, family 7, 7. Caroline C Dwelly household, 1870 U.S. Census, Washington County, Maine, population schedule, Crawford, sheet 163B, dwelling 22, family 21, age 51, occupation Carrying on the Farm. Js F. Lydack household, 1880 U.S. Census, Mendocino County, California, population schedule, Big River, ED 064, sheet 283B, dwelling 145, family 149, age 37, occupation Lumberman. Godfrey Lydick household, 1870 U.S. Census, Washington County, Maine, population schedule, Crawford, sheet 164A, dwelling 30, family 30, age 37, occupation Farmer. Page 16 DW. 1435 Fam. 1346. household, 1860 U.S. Census, Jackson County, Missouri, population schedule, sheet unknown cd3. A.C. Pallett household, 1860 U.S. Census, Jackson County, Missouri, population schedule, Sni-A-Bar, sheet 0, dwelling 1435, family 1346, age 49, occupation Farmer. W.Z. Hickman, History Of Jackson County Missouri, page 523. see Columbus Renick. Abram C. Pallett household, 1850 U.S. Census, Jackson County, Missouri, population schedule, Sni A Bar, dwelling 336, family 1436, 1436. W.Z. Hickman, History Of Jackson County Missouri. Columbus Renick household, 1870 U.S. Census, Jackson County, Missouri, population schedule, Sni-A-Bar, sheet 36, dwelling 224, family 224, age 29, occupation Farmer. Columbus Rennick household, 1880 United States census, Jackson County, Columbus Rennick, population schedule, Sniabar, ED 30, sheet 142A, dwelling 232, family 232, age 39, occupation Farmer. Columbus Rennick household, 1900 United States census, Jackson County, Columbus Rennick, population schedule, Sni-A-Bar, ED 138, sheet 2B, dwelling 38, family 38, age 59, occupation Farmer.